Art Licensing: Should you sell art on POD stores? Frequently asked questions by artists about POD (print on demand) websites are "can I make money by opening a POD store and will it hurt my chance in licensing my art if I sell my art on them". Continue reading for information about POD websites and the drawbacks in using POD sites to sell art on products. For artists not familiar with POD, POD is placing art on a product WHEN a customer orders it. Thus, POD companies avoid having to carry inventory and saves money if the art on the products do not sell. Consumers are attracted to POD websites when they are looking for art on products that are not readily available in retail stores. The draw back is that the products tend to be more expensive and possibly a poorer quality depending on the POD company. Some POD e-companies sell licensed art on their products directly to consumers such as Elms Puzzles (wooden jigsaw puzzles), Bradford Exchange (checks), and Keka Designs (cases for e-devices). Some are POD services where artists have "stores" selling their art on single products like t-shirts while other sites such as Cafe Press and Zazzle sell a variety of products. Many of these sites offer fulfillment services which produce the art on the products, collects the payment and ships the products to the customer. Artists are usually paid monthly for the products sold in their store. Note: e-companies like Etsy also has artist stores but it is not really POD because Etsy store owners make or purchase their own products and may not make the products on demand. Etsy collects the payment but it is the responsibility of the store owner to ship the products to the customers. Besides POD e-companies that sell to the public there are also POD manufacturers that sell to retailers. They license art and use a POD business model. In other words, the manufacturer licenses the art but the artist does not get any revenue UNLESS the licensee sells the art on the product. Numerous print and home decor companies use this POD business model. The draw back for an artist licensing her/his work to this type of manufacturer is that no revenue or very little revenue may be received and the art is not available for licensing to other same product manufacturers unless it is a non-exclusive arrangement. Many artists open stores on POD websites to supplement their income. And, some hope to be discovered by manufacturers or art licensing agencies. But, just opening a store is NOT good enough! Because, no matter how beautiful or unique the art, it will be lost among the thousands of products on the site UNLESS extensive marketing is done by the artist. An artist cannot just place her/his art on product templates supplied by the site and sit back and watch the money roll in. It does NOT happen! Marketing is usually done on the artist website, blogs and Facebook but she/he needs a large customer base to be effective in driving customers to the POD site. 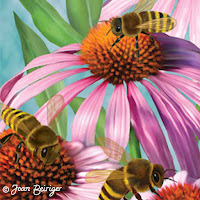 Some artists offer discounts, personalization of the product, have contests, or offer free products to entice customers. Note: POD sites advertise that they market the artist art. From what I have heard, the results are usually not very productive. Thus, artists cannot depend on the POD website marketing efforts to get sales. For more information on POS sites read "Best Print-on-Demand Online Merchandise Stores". This article has good information but it is an old article so the evaluation of different POD sites on it is outdated. Also read a more up-to-date article, "Print On Demand sites mega-review". Recently Zazzle POD site is preferred by consumers over CafePress according Knoji Consumer Knowledge. And that is also true for artists according to comments on social media sites and "My Review of Zazzle.com: Printable Products and Posters on Demand". According to rumors, some artists do well selling their art on POD sites. But, those artists have hundreds of products with the right kind of art and spend a lot of time promoting them. According to comments on different forums it appears that most artists with POD stores are lucky to make $25 to $100 a month and those are the ones that are doing some marketing. Having a gimmick, art that appeals to many consumers, and good marketing are really important in making money on POD sites. And that takes time and effort. A negative in having a POD store is that it can be time intensive to upload art onto the sites when an artist has many products. Also, art is being lifted from the sites by dishonest individuals and companies. Comments on Facebook, other social media forums, and blogs continuously report copyright infringements. Googling the words "stealing art on (any POD site)" shows an alarming number of posts. Licensing art may be problematic for artists with a POD store(s) as explained by art licensing consultant Jeanette Smith in her blog article "Print On Demand Products ... Is There a Place For Them in Art Licensing?" One point she makes is "If you sell products on your web site, be prepared to tell manufacturers about your sales results." Hence, if the sales are poor it may hinder you in licensing your work. Read Jeanette's article for more information. 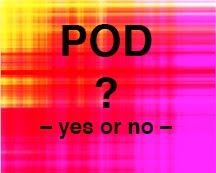 So, if you wish to have a POD store, you need to research POD sites and consider many things. What kind of products do you and should you put your art on? What POD site(s) should you choose for your store? Do you have the time and willing to promote your POD store(s)? And, will it hurt your ability to license your art if you have a POD store? But, remember as with everything to do with art licensing there is never one right answer. What works for one artist may not work for another. And, that is why it is important to do research by reading as many articles and posts as you can about selling your art on POD stores so that you can make an educated decision on what works best for you. Good Luck! 11/1/13 I posted links to this article on some social media forums and many artists chimed in with their experience and opinions in having POD stores. Facebook Art of Licensing and LinkedIn Art of Licensing groups were especially active with very interesting and informative comments. Note: If you are not familiar with these forums you need to first belong to Facebook and/or LinkedIn and then you can ask to belong to the Art of Licensing group(s). I posted this article as "Article: Should you sell art on POD stores?" Forum posts are replaced by active posts so this one may not be visible on the forum page as less artists write comments. You may have to do a search to find it. Make sure that you read the comments to this article. Artists have shared valuable information about POD websites including ones not mentioned in the article! Your comments are welcome. Click on the comments section (below) to write your comment. Note: Some persons have a problem in leaving a comment. The most successful method is to comment as Name/URL (your name and website or blog with a "complete" URL address). There are many companies that make coasters to protect furniture from drink containers. They are made of various materials such as paper/cardboard, stone, ceramic, cork and plastic. Coasters are considered not only useful items but also used in home decor. Thus, manufacturers are dependent on artists to create licensed art to help sell their products. 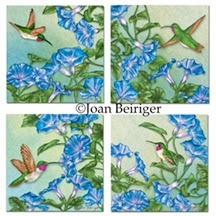 All kind of themes are used on coasters from flowers, birds, butterflies, seashells to seasonal and holiday images. Some manufacturers licensed a variety of art styles while others stick to traditional fine art. Also, some manufacturers only use one design for a set of coasters, while others use two or four or even 24 designs. And some produce round or square or both shapes of coasters. Thus, artists MUST do their homework and learn what each manufacturer requires before submitting their work for licensing consideration. Below is a check list when sending art to coaster manufacturers. 1. have themes that the manufacture shows on their website or in retail stores or e-store websites? The themes shown normally are the themes that are good sellers and an artist has a better chance in getting a deal. Besides, the list of themes listed above, manufacturers may also periodically license trendy themes such as high heels or images for a niche market such as lodge or South West Indian. 2. belong with a collection of several images or is it a single image? If the manufacture uses four images in a set of coasters, the artist has a better chance in getting a deal if four images that go together are submitted. 3. use a style that the manufacturer licenses for their coasters? If the artist's style is illustrative and the manufacturer does not use that style on their coasters, the likely hood in getting a deal is slim. An exception might be when a new art style is emerging such as the current chalkboard style. It may be too new and not yet shown on the manufacturer's website. 4. have the proper format for the manufacturers coasters? An artist has a better chance in getting a deal, if the images are already formatted to the shape of the manufacturers products. For instance, If their coasters are round, then submit the art in a round format. And, when submitting art to any manufacturer, you have a better chance in getting deals if you are easy to work with. Thus, mention in the Email or correspondence that you are willing to edit (change colors, remove icons, reformat) the art to their specifications. Below is a list of some manufacturers that produce coasters. Read more articles about manufacturers under the Topics section (on the side bar) by clicking on Manufacturers.